DCORP is aiming through its Seed Project to create the first blockchain based derivatives exchange. They tout it as a simple, low-cost an autonomous operation. Their platform will allow maximum leverage in an anonymous world and multi-token derivatives to spread and lower risk. As I mentioned, this is the companies “Seed Project”, the first undertaking of the newly funded company. While this is interesting, it is not what makes DCORP interesting and different than many other projects. What I find interesting is the structure of the company and how it will operate moving forward. 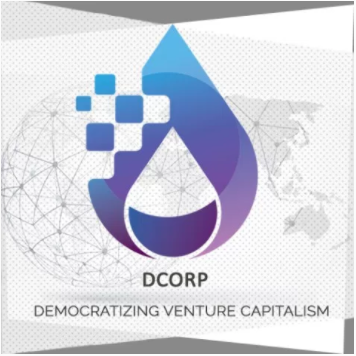 DCORP, will give owners of its DRP token the ability to participate in a venture capitalism like the big boys. As mentioned above, the first project that the company will invest in is the derivative market, but this is not its sole mission. DCORP will be run by its elected Board of Directors and Shareholders. Each DRP token is equivalent to a share in a corporation. The companies mission is to fund projects that are based on blockchain technology for the sole purpose of making money. As the investments are successful, the shareholders will enjoy their share of the profits. The question that is probably the most important to ask, is how are decisions made in this structure. Who has the real power, is it the Board of Directors or the Shareholder? DCORP is aiming to give the decision making that will form the core of the company to the shareholders. There will be a Board of Directors consisting of seven elected members and the Founder. The members of the Board of Directors can not remain anonymous as they must be accountable to the real owners, the shareholders. The only member of the Board of Directors that will not be elected is the Founder, Frank Bonnet. Frank will have the voting rights of two members, bringing the total number of votes on the board to nine. The board members will also perform management functions in the running of the company. They will be compensated in ETH according to certain parameters recorded in the contract of a fund they manage that has to be approved by the shareholders. The Founder, as mentioned above, has the voting rights of two board members. In the event that one of the board members is not available to cast their vote in the time necessary, the Founder acquires the weight of that vote. There are two types of proposals that can be brought to a vote. They are governance and funding proposals. Some of the low impact governance proposals can be decided by the board alone, while the remaining governance and all funding proposals are decided by the shareholders. The complete details of the different rules can be found in the Whitepaper. (link below in resources section). Any shareholder can submit either a governance or funding proposal. In order to limit the proposals to only ones that have merit, there is a fee to submit proposals. Most of the fee goes to the Board while the remainder goes into DCORP’s balance. As shareholder can submit a “funding proposal” through a web interface on the companies website. The funding proposal must contain at a minimum the amount needed for to fund the proposal in ETH, details about the submitter, brief description, and payment schedule. Once a proposal is submitted, there is a seven-day voting period. If the majority of the votes are for the funding, a Fund is then set up. If the vote doesn’t carry the majority, it is rejected. DCORP lists their team on their site, mentioning how many years of experience they have in the technology industy. It seems a bit vague to me as to what their actual accompllishments are, so I suggest digging deeper if you are interested in this opportunity. This really brings me to my conclusion. The concept is innovative, starting from the company structure to its Seed Project and its ability to allow shareholders to request funding for individual projects. The main question is the people behind the project and the true power that the non-elected FOUNDER has.